Jung Sun Lim: Bio & Choral Music | Santa Barbara Music Publishing, Inc.
Jung Sun Lim (b. 1964) received her bachelor of arts degree in French at Ewha Women’s University in Korea. Under a full scholarship at Ohio University, she began her graduate work in music. She completed her master of music program at Meredith College in Raleigh, North Carolina, where she studied composition with Dr. Anthony Vaglio. During her graduate study at Meredith, she was nominated for membership in the Pi Kappa Lambda Honor Society, and was commissioned to composer music for the Meredith Girl’s Chorale. Ms. Lee is a native of Seoul, Korea and currently resides in San Jose where she performs as a member of the New Choir. 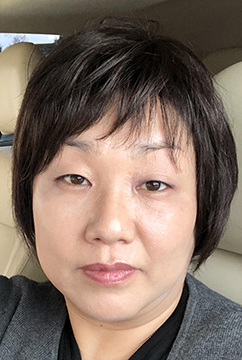 Jung Sun Lim has 2 titles published with Santa Barbara.